Let's play a word association game. I'll go first: private villa. Luxury? Waterfront? Elegant? Prohibitively expensive? Well, we ran the numbers and you might be surprised. At first glance, the $8,000 to $20,000 weekly price tag might produce a "Hah! Yeah right!" from your lips, but stay with me. Wait, why not just go to an all-inclusive resort then? If your family is anything like mine, we love time spent at the dinner table. Belly laughs, recounting old memories, impromptu karaoke, and free-flowing wine while chatting for hours on end. It's the type of intimate family gathering you can't recreate in a resort restaurant or cramped hotel room. That, and – well – we also don't want to worry about our music being too loud or singing too off-pitch for the surrounding guests. When you're on your own, you get to decide what's appropriate vacation behaviour. We need to make a few assumptions before getting started. Say you're travelling with your friends or family. Let's call it eight paying adults. Next, let's pick two travel dates: August 20-26th and January 21-27th, because you know there are fantastic savings in the off-season. 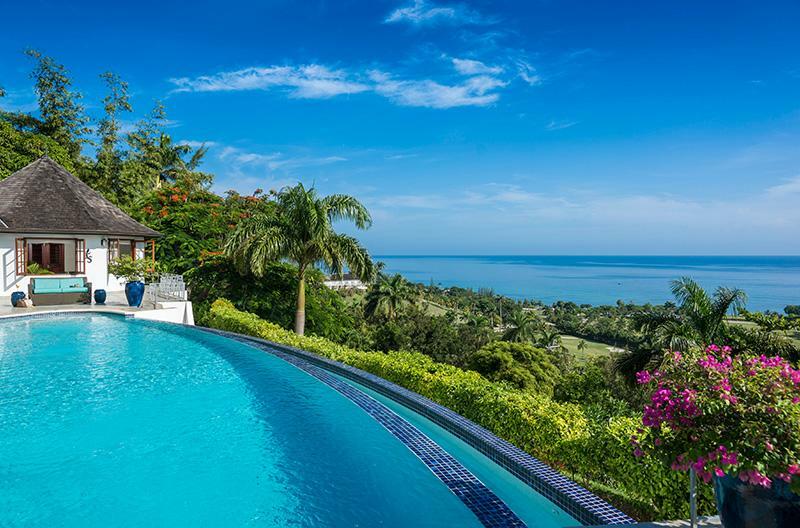 Alright, now that I have you on board, let's drool over some wanderlust-worthy villas in Jamaica, shall we? 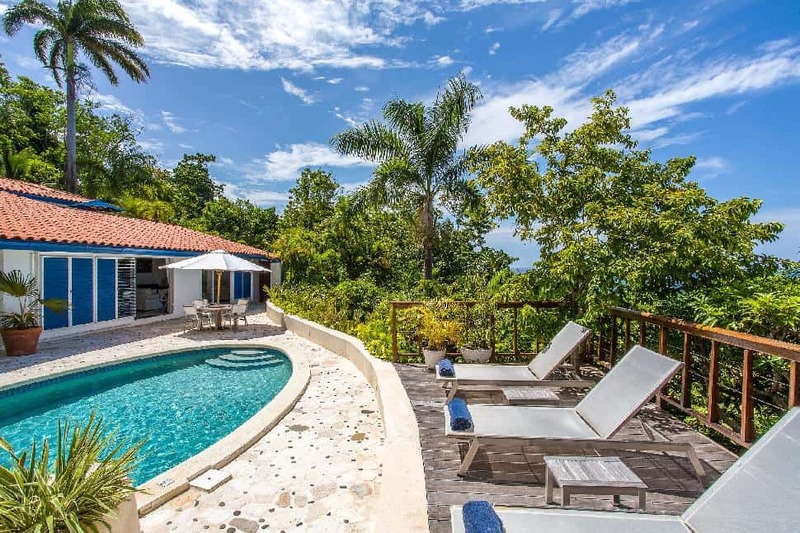 The Tryall Club offers a unique portfolio of villas to choose from. 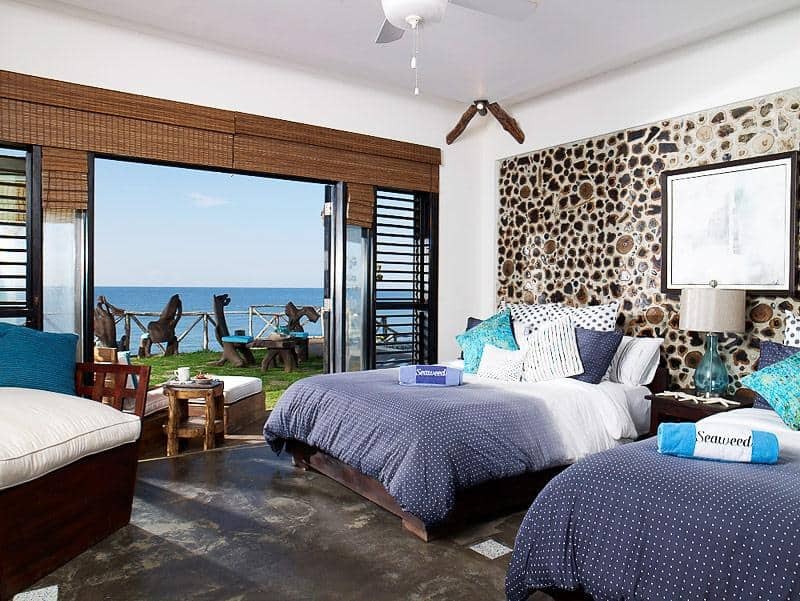 Whether you want to stay in a romantic one-bedroom or sprawl out with a group of friends in a luxurious 6-bedroom, you'll have ocean views and suntanning spots galore. With a chef and butler at your disposal, the only thing you'll have to worry about is deciding what to eat. And it's not an easy decision – fresh fish is brought in daily from local fishermen, and produce and honey is taken from on-site kitchen gardens and apiaries. 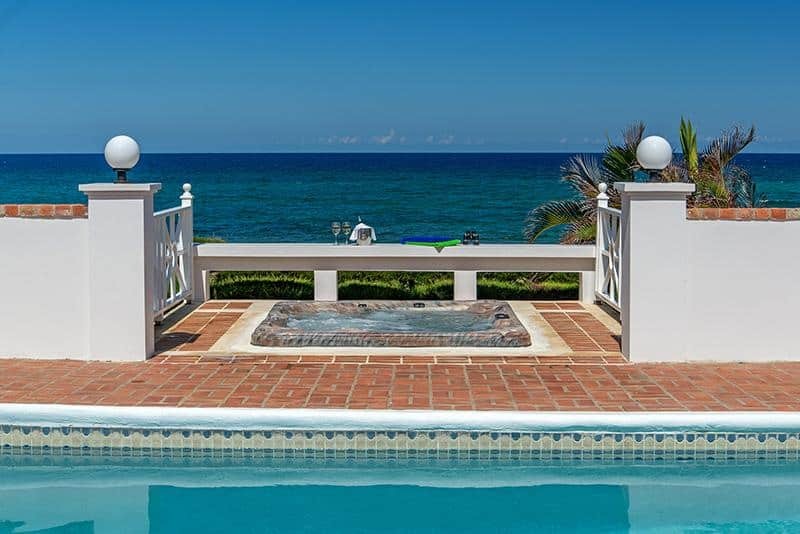 The ocean literally unfurls in front of the 6-bedroom Anticipation Villa. With a private pool, soft blue, beige and teal decor, and four bedrooms with king-size beds and two with two double beds, this villa suits a stylish family or group of close friends. The best part? 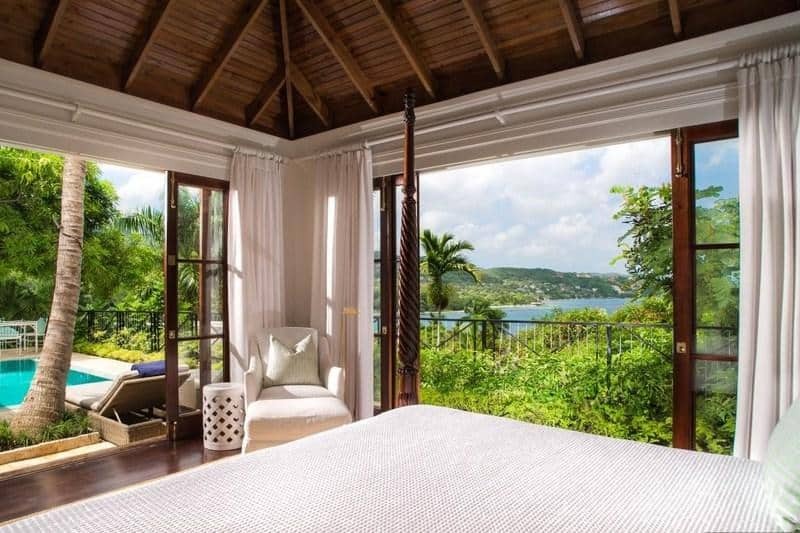 Every single room opens up to a view of the ocean. 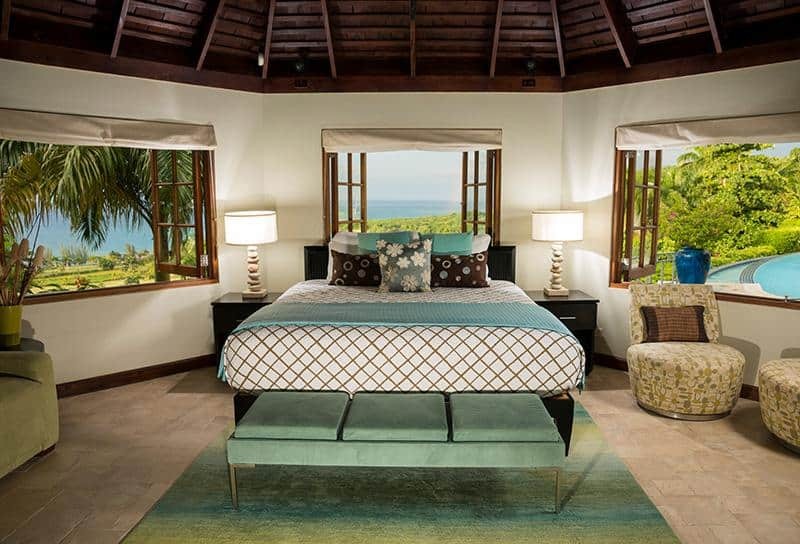 Next to the Tryall Club Golf Course, Seaspray Villa is an appealing choice for golf enthusiasts and families. 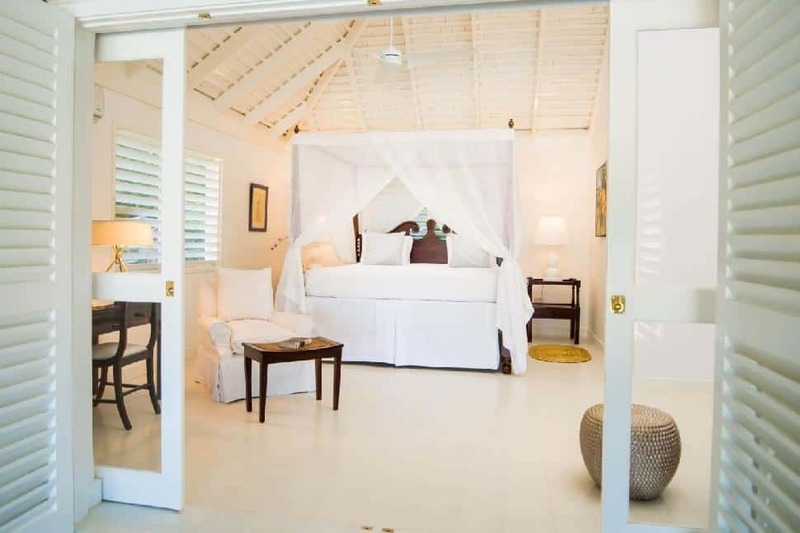 Two of the bedrooms in the main villa are equipped with two twin beds while the master bedroom has a king-size. The detached poolside cottage has another two twin beds and overlooks the ocean. 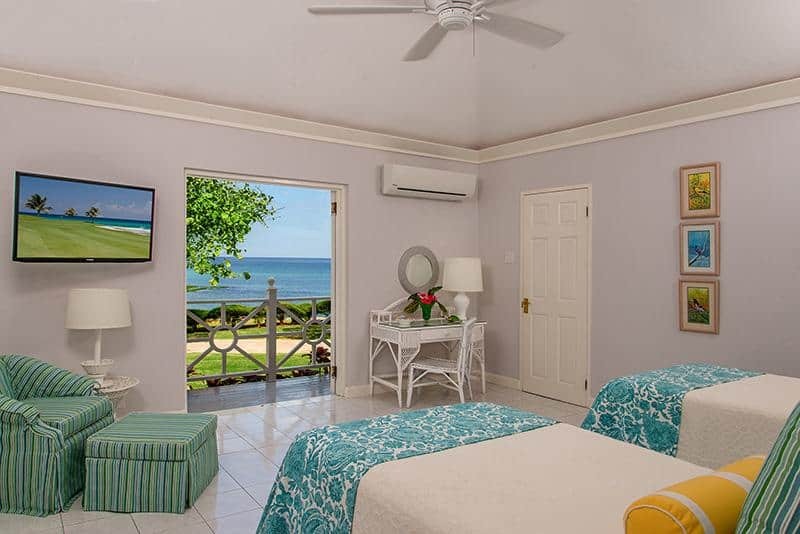 Tryall also offers a kids' club, tennis courts, golf, daily afternoon tea, and the Beach Café and Great House Restaurant to villa guests. A collection of rooms, cottages and villas, Jakes Hotel has made quite the name for itself. It has character, ambience and a story. 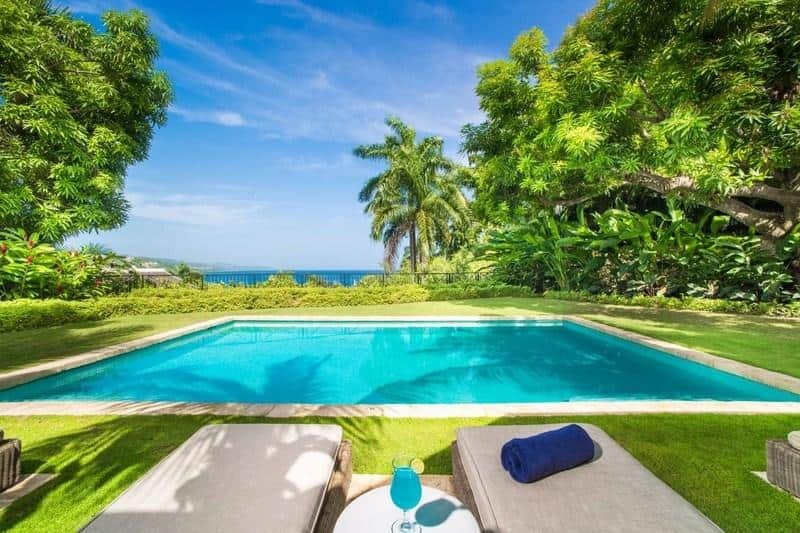 With a stunning location on Treasure Beach, their new villa next door is the ultimate in luxury Jamaican villas. 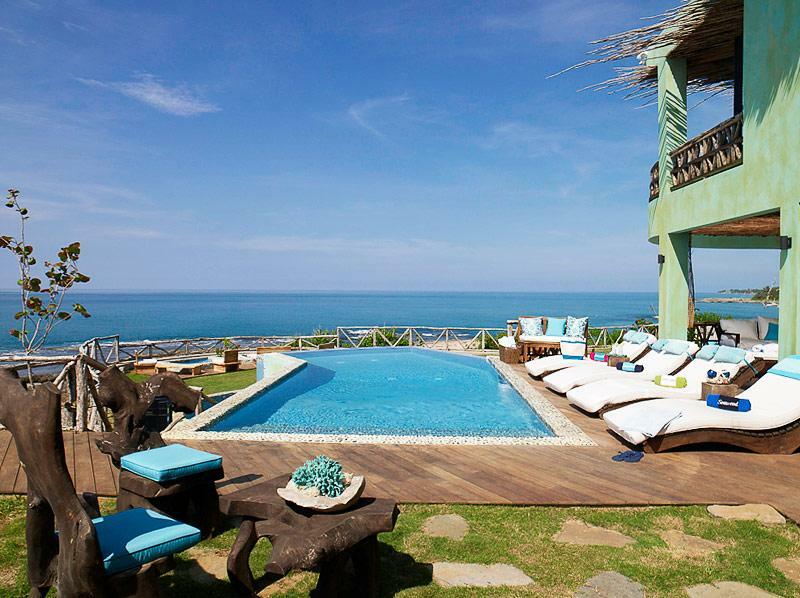 At Seaweed, you'll find a main house and a smaller villa. Both can be combined to offer large groups seven immaculate guestrooms complete with a steam shower, a bi-level infinity pool, a mosaic-tiled hot tub and a large games room (including a pool table). Located just a stone's throw away from Jakes, guests are allowed their privacy with full use of Jake's facilities. The best of both worlds, really. 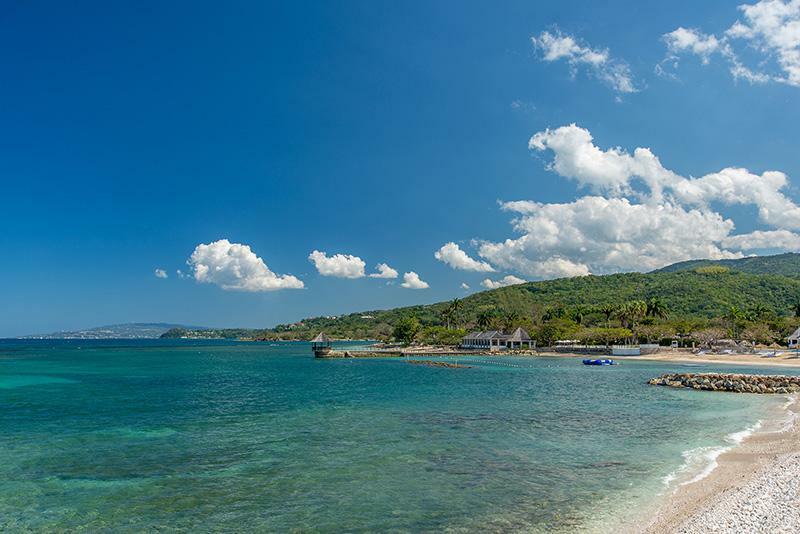 Treasure Beach is located a 2.5-hour drive from Montego Bay on the South Coast of Jamaica. Holidaying in Jamaica is all about al fresco living. At Hope House, you'll be hard-pressed to pull yourself from the villa's jaw-dropping waterfront decks. Sip fresh fruit juice in the morning, have lunched grilled on the outdoor barbecue, and stargaze after dark. Four generous rooms, each complete with their own bathroom, mean the entire family can comfortably spread out. With 27 villas to choose from, Round Hill probably has one for you. Each villa comes with a dedicated on-site staff that will whip up a fresh breakfast on your terrace each morning. If you aren't hooked yet, they also have a spa and fitness centre, entertainment and kids programs. Although Villa 21 only has four bedrooms, it has more than enough room for a large group of friends, family or corporate retreat (if your boss is really awesome). There are two gorgeous pools, six bathrooms, and spacious living quarters with wood panels and glass doors that open towards the ocean. Not to mention the nearby resort, which includes a yoga pavilion, tennis courts and jogging trails for your active days. When it's time to relax again, there are umbrellas, sun loungers, in-villa spa treatments and a double-edged infinity pool. Or, simply bring a good book to your private garden. C'est la vie. The Geejam private hotel complex in Port Antonio has three private villas and several cozy suites. Our favourite villa? The original. Sanwood was designed in the late 1960s by renowned British architect Anthony Wade. 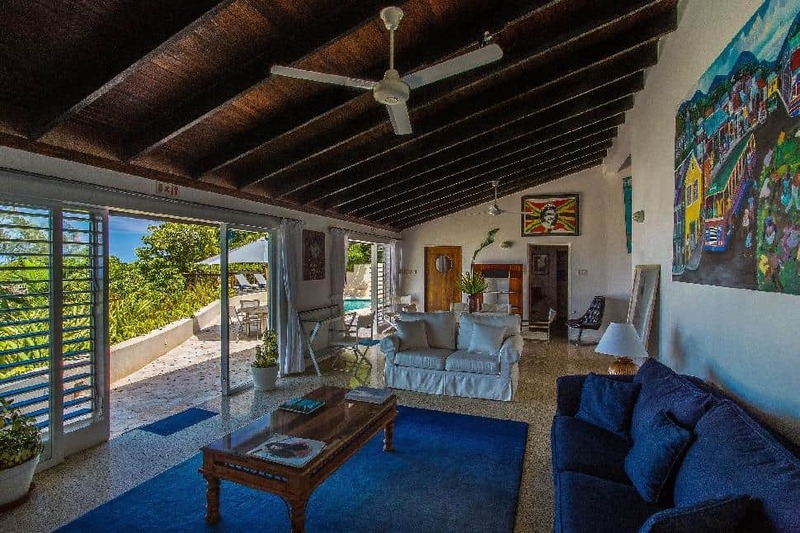 This nautical-themed villa has three bedrooms with two upper deck verandas, a private outdoor swimming pool, and a media lounge. Guests attracted to pop art and culture will be impressed by the private collection that houses pieces by Banksy and Juergen Teller. Have you ever rented a villa? Tell us about it - comment below! Ready to plan your Jamaica getaway?